An excellent work of historical fiction that will illuminate and spark discussion. 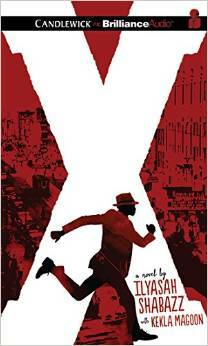 Pair this with Shabazz's X: A Novel for a well-rounded picture of the couple and their times. Strong language and sexual references make this book more appropriate for high school than junior high. Students may want to read The Autobiography of Malcolm X or Shabazz's Growing Up X (Random, 2002) for the rest of the story. Malcolm Little: The Boy Who Grew Up to Become Malcolm X.